ClimateRight is a small, portable air conditioner and heater that runs on regular 120v electric. ClimateRight is a small, portable air conditioner and heater that runs on regular 120v electric. 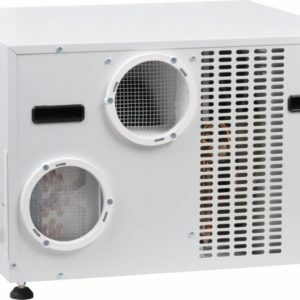 The unit sits outside of your enclosure and is ducted into the space with two hoses and an easy quick connect system. You will need to drill two small holes into the structure for this to work. Then simply assemble our easy “Quick Connect” flanges and hoses into your structure. The unit is controlled from an IR remote (line of sight). Set it and forget it! 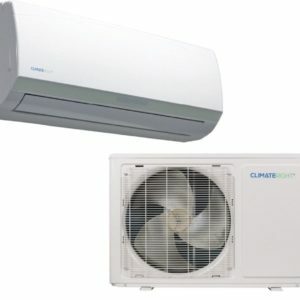 The ClimateRight CR5000ACH, 5,000 BTU, 115-Volt Air Conditioner and Heater unit is the perfect solution to heat and cool your shed or home office. Because the unit is placed outside of the enclosure, it is out of sight, out of mind, very quiet and preserves floorspace. 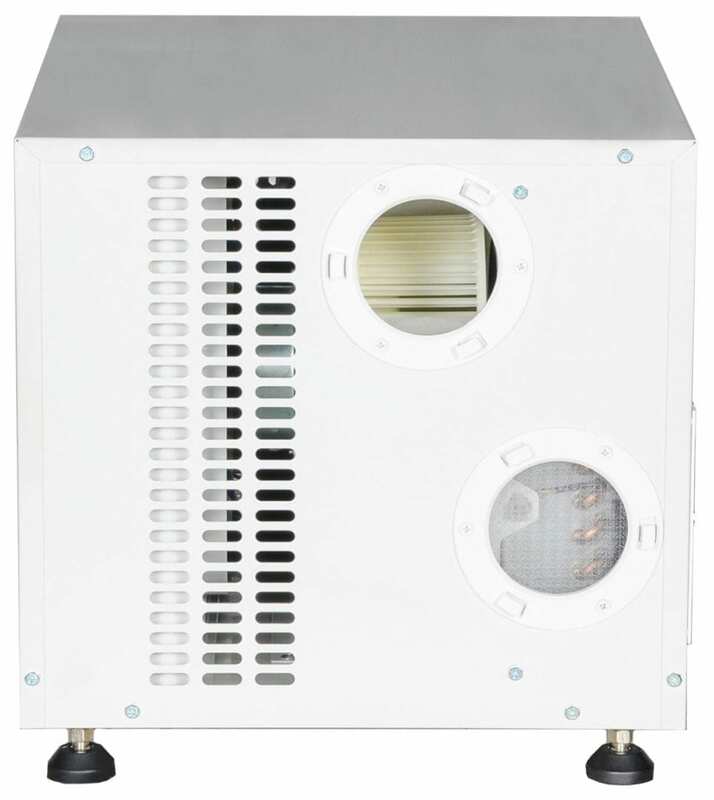 This small, powerful and portable unit quickly cools and heats with efficiency and dependability. Take it with you or install it once for a semi-permanent application. As an added bonus, the ClimateRight CR5000ACH dehumidifies the air for increased comfort. The included electronic thermostat conveniently toggles between the modes, which includes Heat, Cool, Fan Only, Dehumidify, Auto and Sleep. Other features include an Auto-On and Auto-Off timer, 3 fan speeds and even a handy infrared remote control. The standard quick connect 2-air-hose installation system is included and makes installation a breeze through most walls including wood, fiberglass and metal. Consult the Assembly Instructions on the listing tab to learn more. All control functions are performed using remote control.